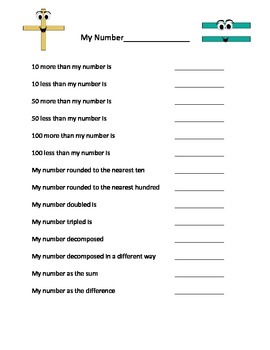 This is a great activity perfect for a math center! Teachers can print the sheet on cardstock and put into a sheet protector. Students follow the directions to make and change the "target number" using an expo marker or vis-a vis for easy erasing. 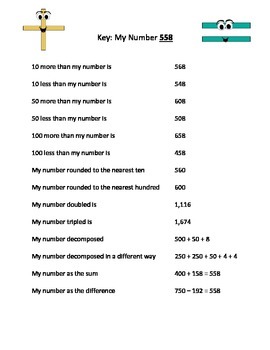 The sheet can be used multiple times with various numbers. A key is included as an example.